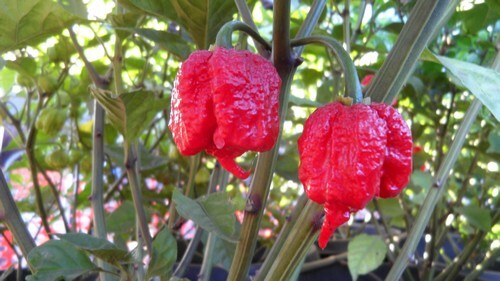 The Carolina Reaper is one of the hottest peppers in the world! It is a cross developed here in the United States. Great for making sauces or adding to your favorite dish! Remember this is a concentrated powder. It takes almost ten pounds of fresh peppers to make 1 pound of powder!! Use caution when handling any hot pepper powder. Keep away from children and pets. Wash hands and utensils with cold water and soap. This powder is from peppers grown outside the United States and has been inspected and certified.